The Faithfull Professional Long Series HSS Jobber Drill Bits have a longer length for deeper drilling requirements. 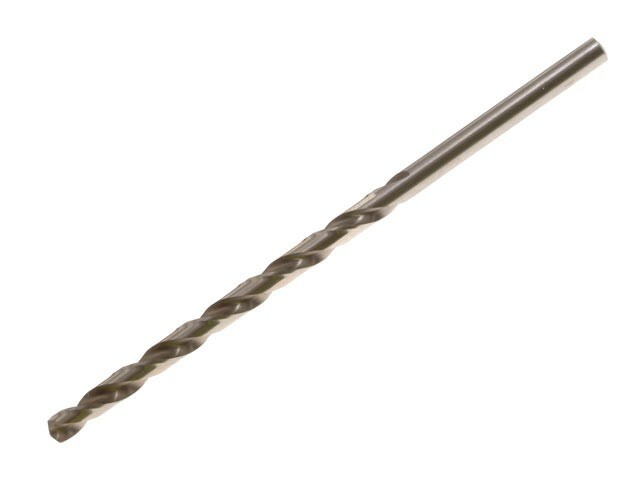 Designed to meet the requirement of the professional user, these drills are manufactured from M2 grade steel and are fully ground to meet the requirements of DIN 338 and feature a 135 degree non slip split point. Their robust design gives less breakage, easier hole start and improved penetration. Suitable for use in: Alloy Steels, Carbon Steels, Cast Iron, Hardened Alloy Steels, Stainless Steels.